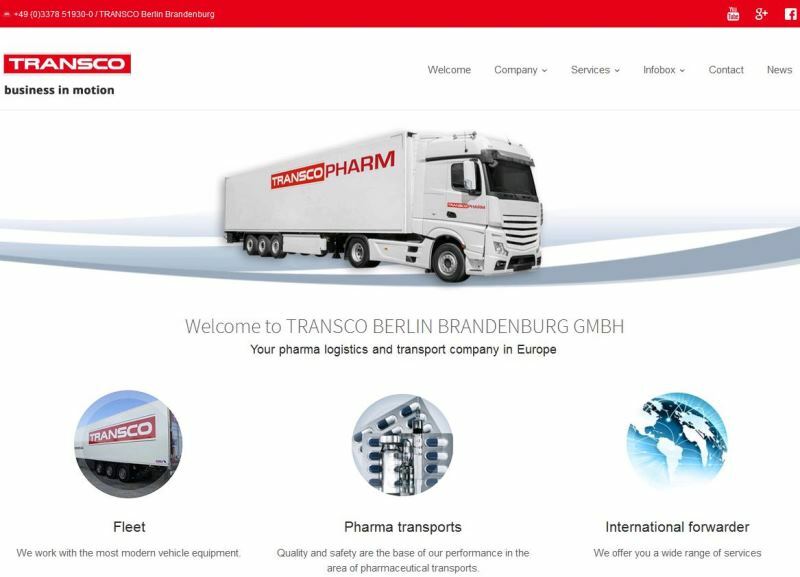 Since 2014 the pharmaceutical service provider TRANSCO Berlin Brandenburg located in Ludwigsfelde is certified in the EU-Guideline „Good Distribution Practice“ (GDP) continuously. Now TRANSCO has confirmed yet again the adherence of a GDP-compliant pharma supply chain. 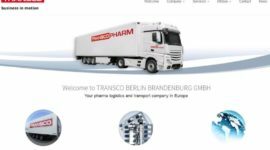 In August 2017 the testing institute EIPL (European Institute for Pharma Logistics GmbH) has attested TRANSCO the handling of qualified pharmaceutical transportation in terms of GDP-compliance by hand out the sophisticated GDP-certificate. The forwarder from vicinity of Berlin herewith underlines again their existing pharmaceutical concepts with regard to highest process quality, security, qualified staff and the respective documentation in terms of GDP. In accordance with continuous improvement process and further development of GDP-compliant logistical processes, Thomas Schleife, director of TRANSCO Berlin, encourages the processes together with his QMR and involves the subcontractors of TRANSCO to its full extent. „The successful audit by EIPL do not only confirms our daily work, it also represents the work of our subcontractors“, says Schleife. A GDP-compliant transportation for the purpose of pharma supply chain is the continuation of adhere to the storage conditions in accord with GMP (Good Manufacturing Practice) and in this way combined with the strict quality requirements of the pharmaceutical industry. „It is only possible to meet the highest quality requirements, if GDP is the first priority for the staff and if subcontractors share and realize this thoughts“, Schleife is confident. In a sophisticated audit EIPL checked beside the pharmaceutical qualified vehicles of TRANSCO, the internal processes as well as the quality management system of the company and the appropriate documentation accordingly to the requirements of the EU-GDP-Guideline.